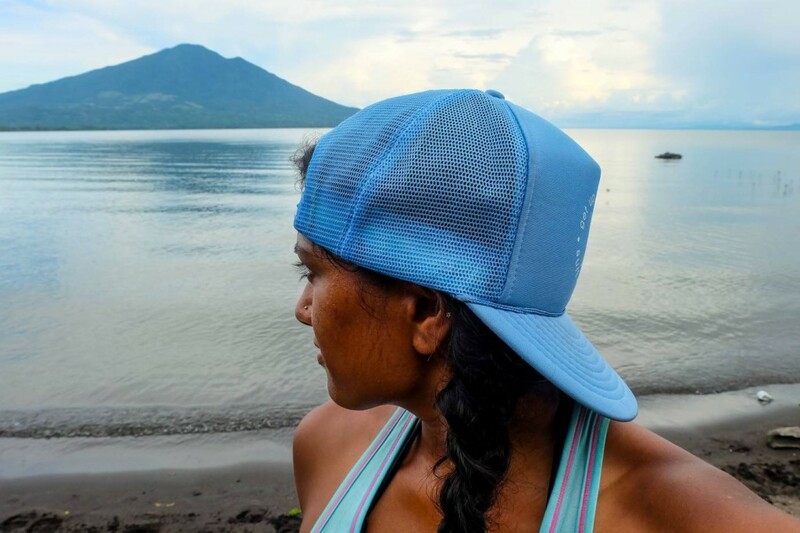 Not Your Average Bicycle Ride Around Isla de Ometepe » Lavi was here. Anything that seems impossible can be accomplished when in good company. I’ve experienced this firsthand. 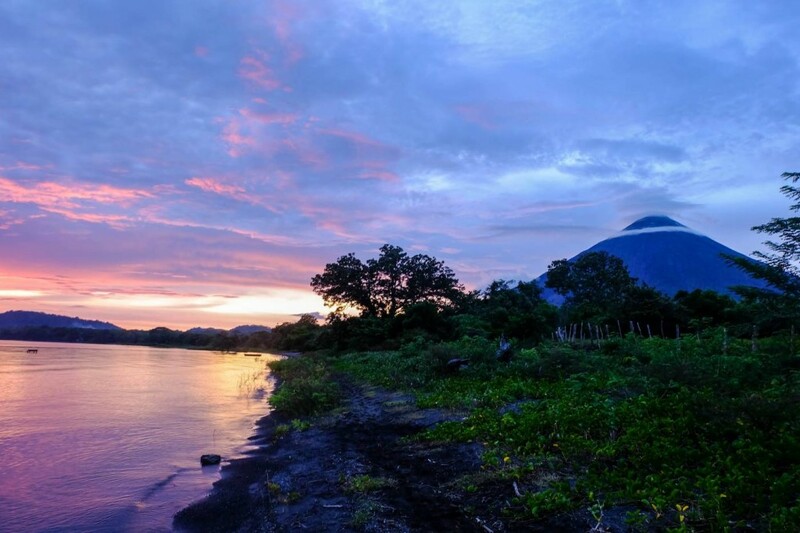 When I arrived on Isla de Ometepe, an island smack-dab in the middle of Lake Nicaragua, I thought I’d set myself up to be hiking one of the two volcanoes. Not that volcano hiking is a bad thing, but I discovered about a quarter of the way up Volcán Acatenango in Guatemala that I might not be the world’s best hiker. So I wasn’t crushed when rain poured down like a monsoon the morning that I’d planned to hike. Volcán Maderas would be too muddy and Volcán Concepción would be too slippery. 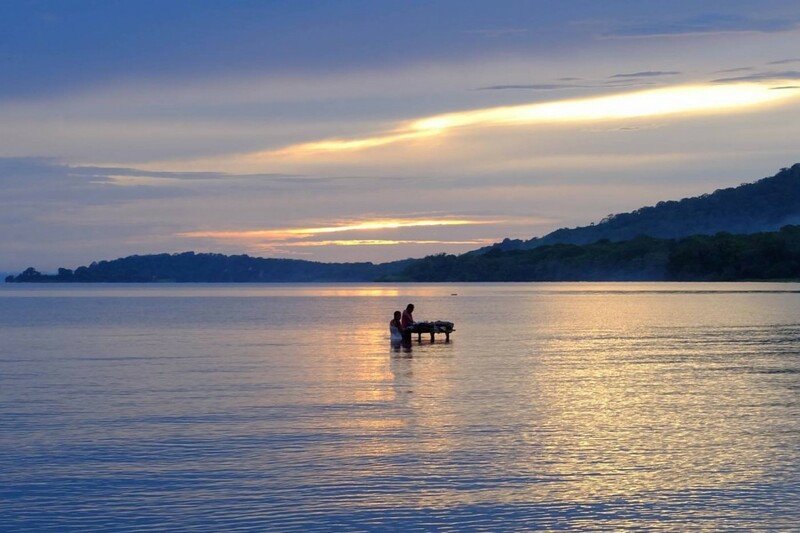 Instead, the melting pot of incredible travelers I’d met in Granada and Laguna de Apoyo and I rented bicycles and took off for Ojo de Agua, a natural spring pool on the island. 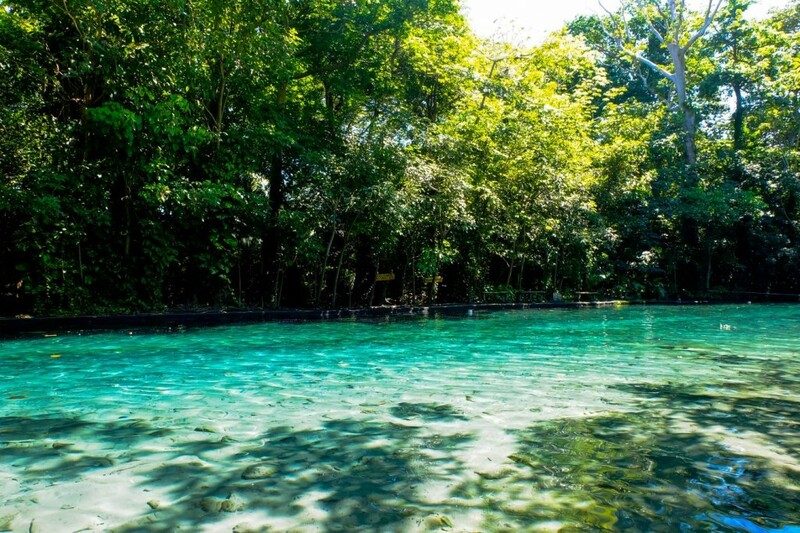 The pool was beautiful and relaxing, but with only one full day on Ometepe, I wanted to explore as much as I could since I wasn’t going to hike any volcanoes. 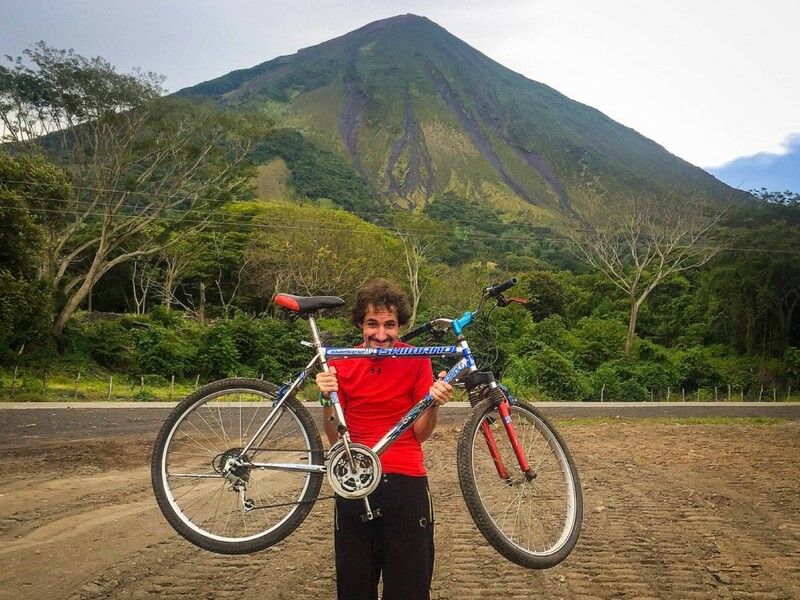 After a quick lunch, my new friend Juan and I decided to bicycle toward Volcán Concepción to see what we would find. I’d fallen asleep the entire car ride to the side of the island we were staying on, so I really had no idea what was in store for us. Mind you, I’d just learned a few minutes before that Juan was about to begin a bicycle ride from Nicaragua to Argentina to raise awareness for cancer. Juan knew his stuff when it came to bicycle riding. There I was, with scars all over both knees, my elbow, and ankle telling the tales of bicycle rides gone wrong when I was a child. 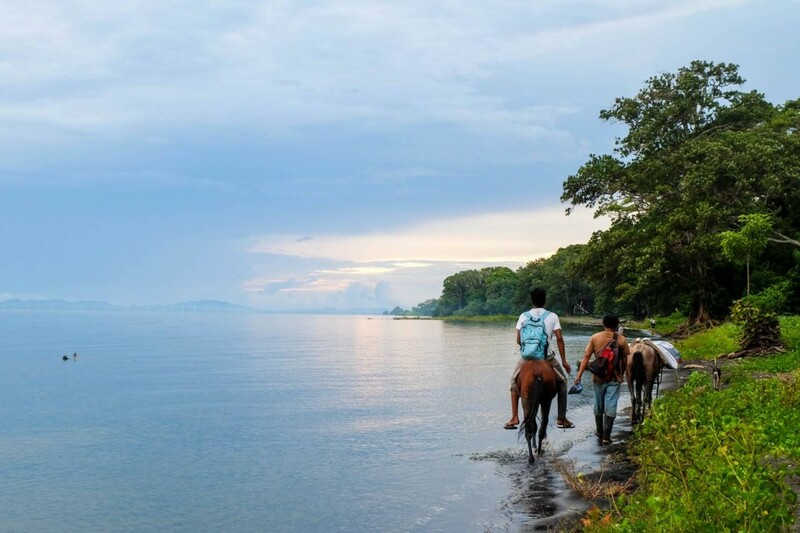 Nevertheless, this duo took off in search of beautiful lake views and probably some things we didn’t know we’d find on this bicycle ride around Isla de Ometepe. I thought it would be a leisurely bicycle ride, zigzagging our way along the open road the wind blowing through our hair. I was not prepared to be struggling to push myself up hills with the next town or noteworthy view far, far away. I was wearing flip-flops! 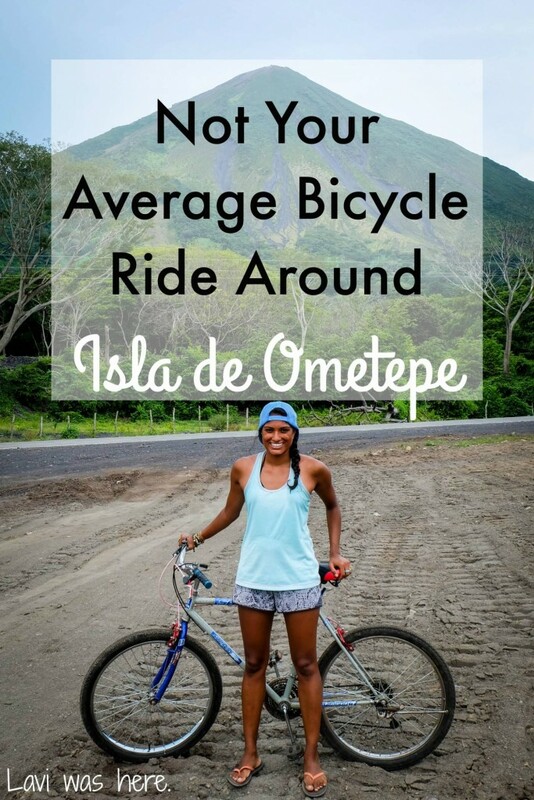 I quickly realized that nothing on Ometepe was as close as it appeared on the map and riding a bicycle might not be the most ideal mode of transportation. I started to crack as we rode up the inclines. Part of me wanted to stop and walk the bike up the hill, but Juan kept me calm the entire time. He encouraged me when I was about to break down, he assured me there was only a little bit further to pedal. As soon as we hit the peak of every hill, we high-fived. It was our thing. I waved and watched as other friends whizzed past us on scooters, smiling to myself at the hills I’d conquered on my bicycle. We turned off the main road toward a small town we hoped would be near the water’s edge. 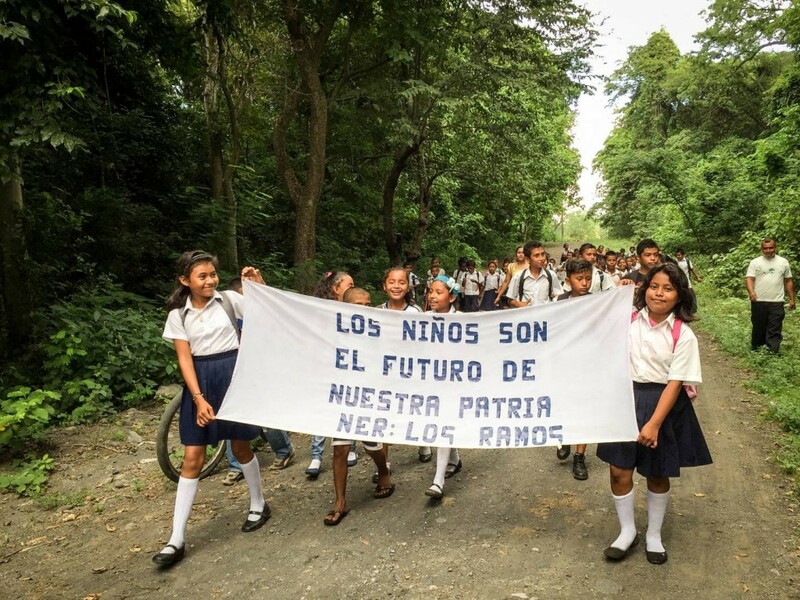 On our way, we came across a group of school children protesting for their education. We walked along the water, following a pair of kids on their way home from school. We followed as they hopped across streams on logs and slogged through mud, getting their uniforms dirty, but laughing and smiling as they walked home. 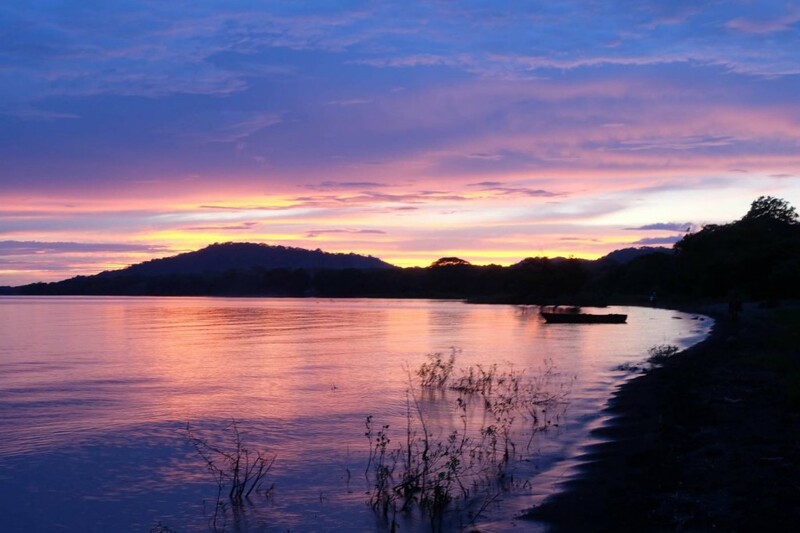 We looked on as women waded out into the lake to wash the laundry as the sun began to set and paint the sky the most gentle hues of pink and purple. To our left, we had Volcán Maderas, and to our right, Volcán Concepción. We were in a random place on the island sharing a sunset from an angle likely no other traveler had seen. It was dark on our walk back to our bicycles; our path only lit by passing fireflies. I’d never seen so many fireflies in one place before. They didn’t photograph well, which we decided was for the best. We kept that beautiful moment to ourselves, unable to share it with the world. We had to rely on the power of our headlamps to guide us home. The road down to the water was too sandy to ride back up, so we walked our bikes up a seemingly endless road until we finally made it to the island’s main road. Once on the pavement, we flew down the hills, feeling the wind against our faces, a pleasant contrast to the insane amount of sweat that was stinging my eyes. 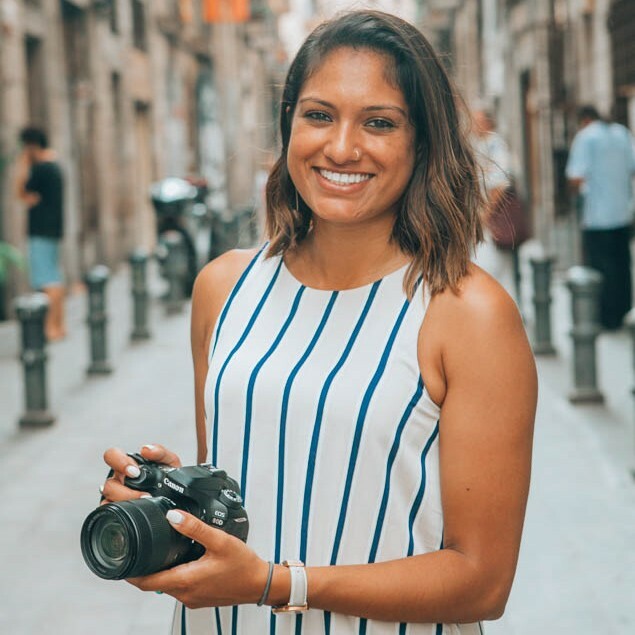 By the time we arrived at our guesthouse, the owner (who had taken on the role of our caretaker), and all the girls I was traveling with came out to greet us and find out where we’d been. I was drenched in sweat while Juan looked as if he’d just gone for a relaxing bike ride. They all thought we looked as if we’d had completely different experiences. I realized that Juan is one of the most uplifting souls I’ve had the pleasure of meeting and his story is quite incredible. I’ll be featuring Juan in a post soon, so I will leave his story a slight mystery for the time being! I will say that Juan’s positive energy and encouraging words helped me cycle up hills when I thought my body couldn’t handle it anymore. He taught me to smile through the pain and through the obstacles on not only this bike ride, but in life. No one was more surprised than me at the distance and number of hills we cycled over, and I know I couldn’t have done it without Juan. In the end, we’d covered about 30 kilometers in a span of 6 hours. I didn’t wake up that morning expecting to go on a crazy bike ride, but it tested my endurance and attitude in the best way. For that, I’ll always remember it when I need to find something to smile about. 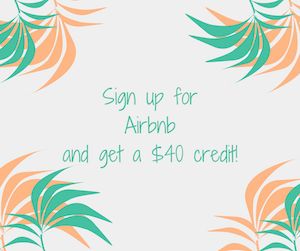 Have you ever taken off on an adventure and ended up having an experience you didn’t expect?